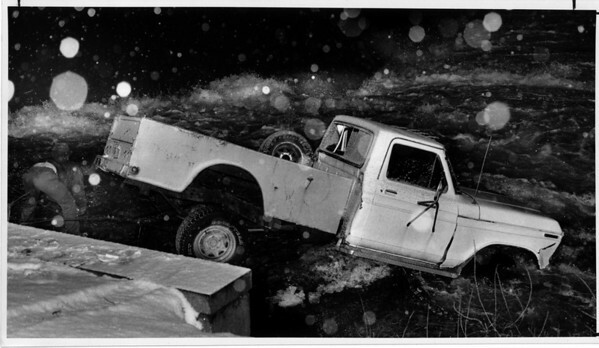 Vince and Guy's Sonolo Tow Truck Driver William Best, of Niagara Falls helps hook a truck which drove into the Niagara River near the Goat Island Car Bridge. Marty's Toing of Grand Island is hooked to truck. Photo - By James Neiss - 2/26/1991.